Intricate fingerstyle guitar pieces from Trevor’s 2014 album, accurately transcribed in tab and notation. 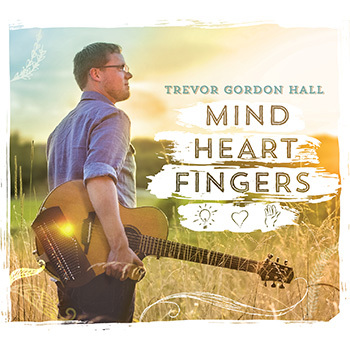 Guitarist Trevor Gordon Hall’s compositions are beautiful, stylistically diverse and a delight to play. Here’s your chance to learn the tunes from his 2014 album “Mind Heart Fingers.” They’re transcribed by Trevor himself, so you know they’re accurate. Use our amazing interface to view the notation while you listen to the studio recordings, so you can hear exactly how it should sound. Some of the tunes (“The Blue Hour,” “Surviving Ordinary Days,” “Turning Ruts Into Grooves”) are also synced with performance videos, so you can see Trevor’s tapping techniques.